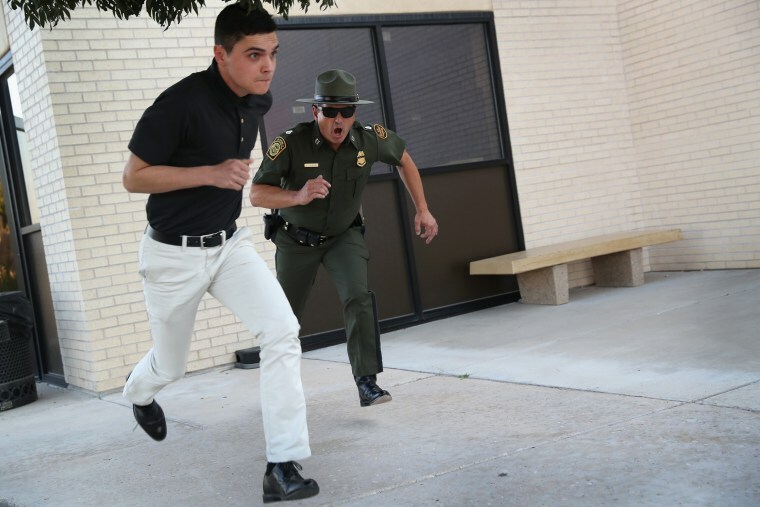 Photographer John Moore followed new recruits as they began the rigorous training to become border patrol agents. 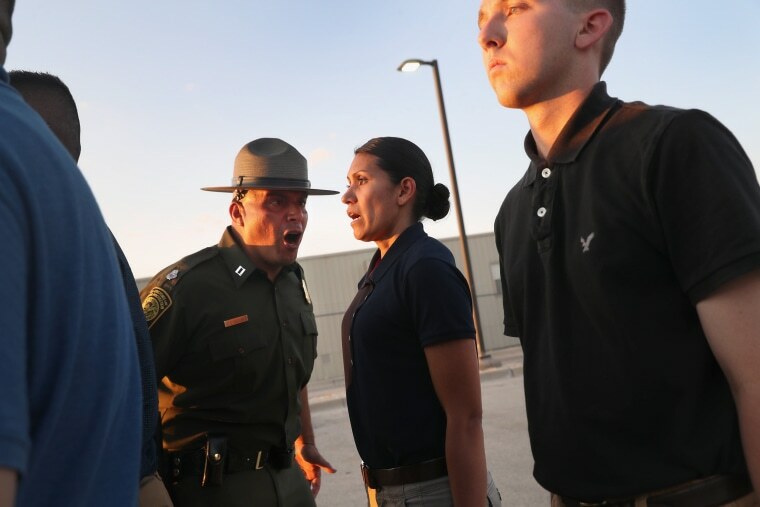 A U.S. Border Patrol instructor yells at trainees after their initial arrival at the U.S. Border Patrol Academy on Aug. 2, 2017 in Artesia, New Mexico. 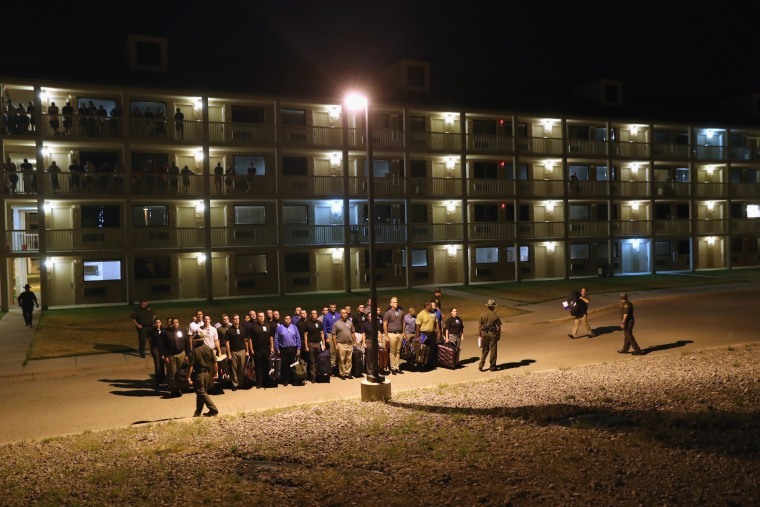 All new agents must complete a months-long training course at the New Mexico facility before assuming their posts at Border Patrol stations, mostly along the U.S.-Mexico border. 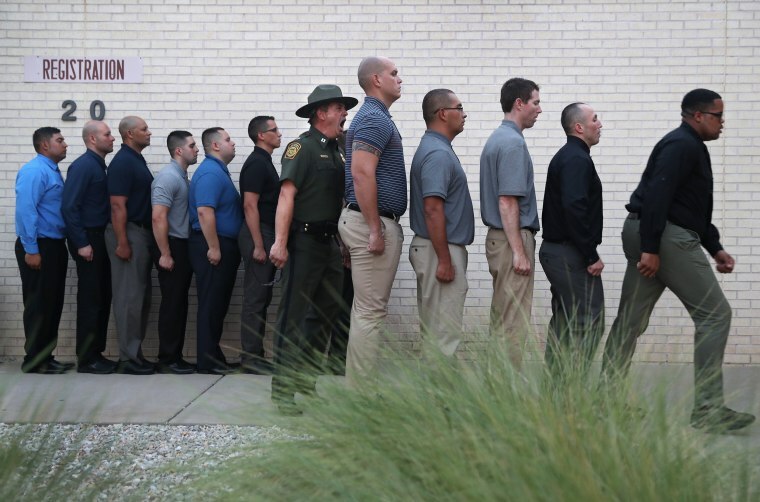 Border security was a signature issue of Donald Trump's campaign and President Trump has pledged to add an additional 5,000 agents to the existing Border Patrol force of more than 21,000. 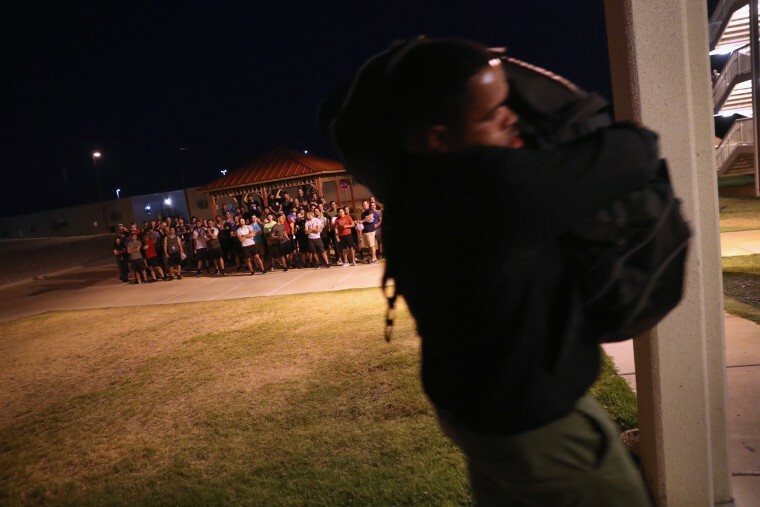 Border Patrol trainees carry their luggage after their initial arrival at the academy. 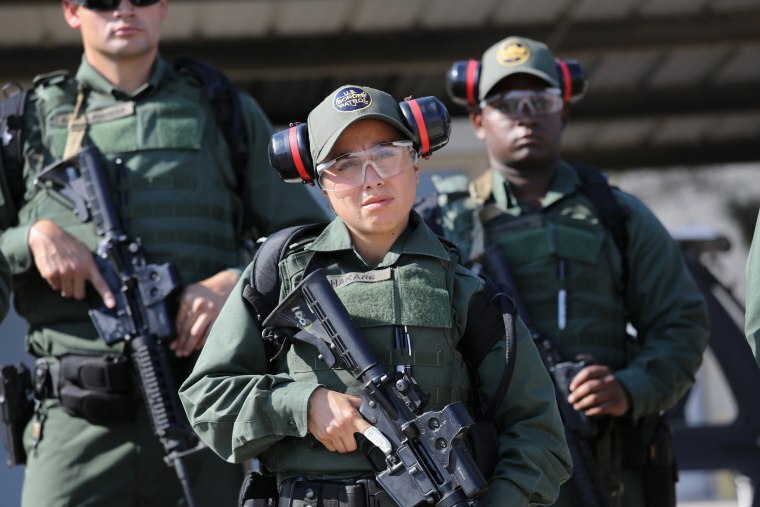 With more than 60,000 employees, U.S. Customs and Border Protection, CBP, is one of the world's largest law enforcement organizations. New arrivals are forbidden by instructors to put their luggage on the ground. 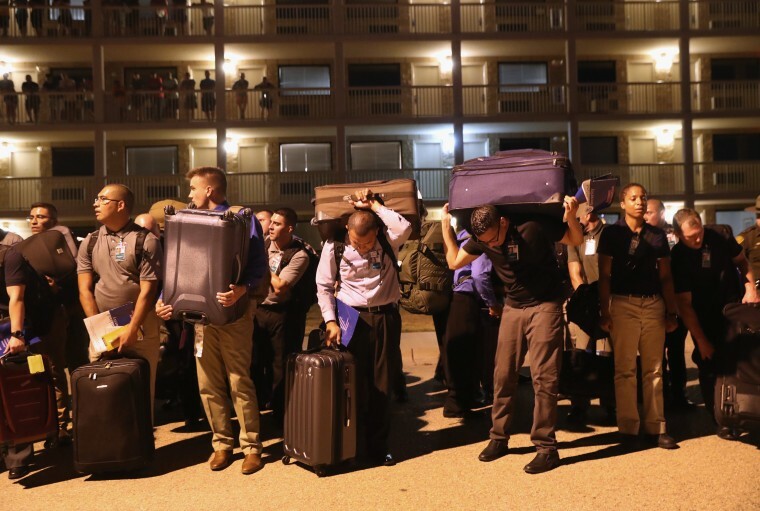 Veteran trainees watch as new arrivals carry their luggage. Agent Stevany Shakare, 24, immigrated from Iraq to Michigan in 2004, fleeing violence after the U.S. invasion. 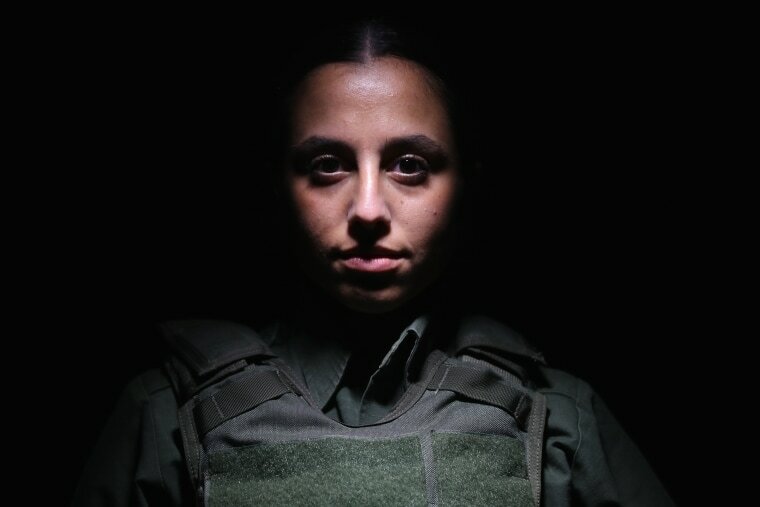 Shakare said that before joining the Border Patrol, she was an insurance agent. Shakare takes part in a weapons training class. 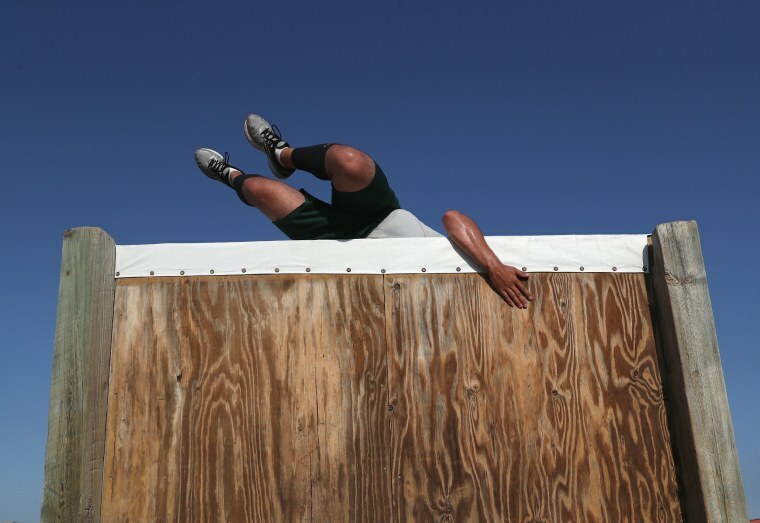 A trainee climbs over an obstacle course wall. 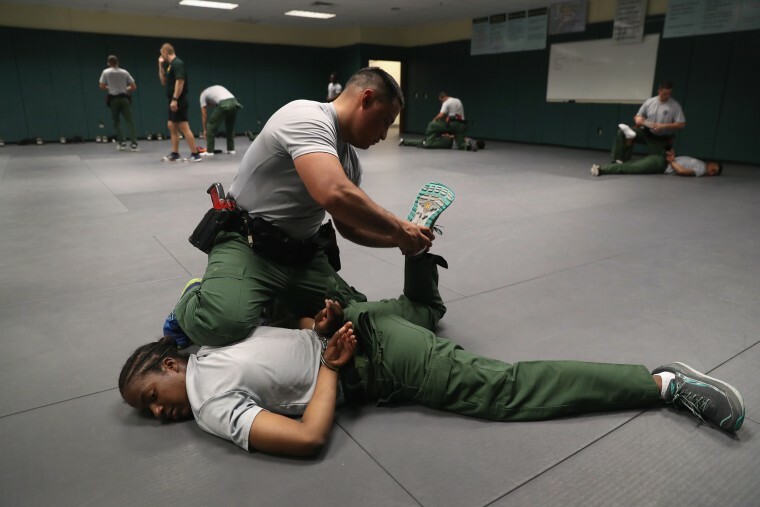 An instructor yells at a new trainee upon her arrival at the academy. 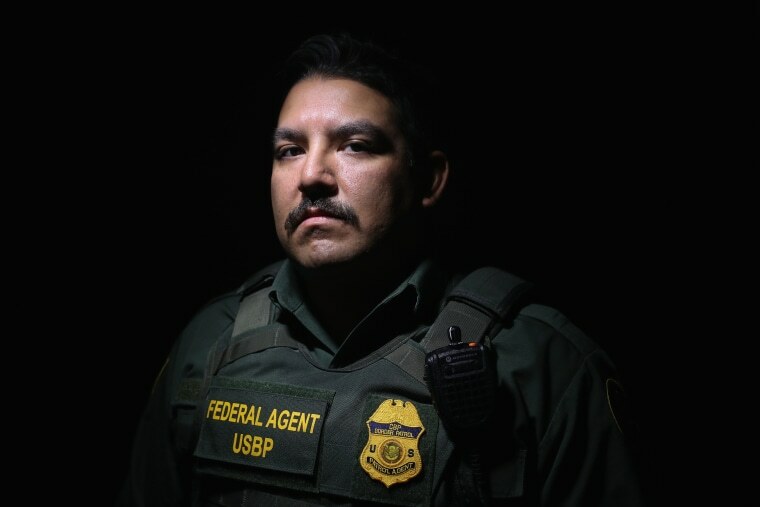 Agent Fuentes, 32, no first name given, said that before joining the Border Patrol he was a nursing student. According to the agency's website, on a typical day, CBP arrests more than 1,100 individuals. The Border Patrol is responsible for patrolling nearly 6,000 miles of Mexican and Canadian international land borders and over 2,000 miles of coastal waters surrounding the Florida Peninsula and the island of Puerto Rico. 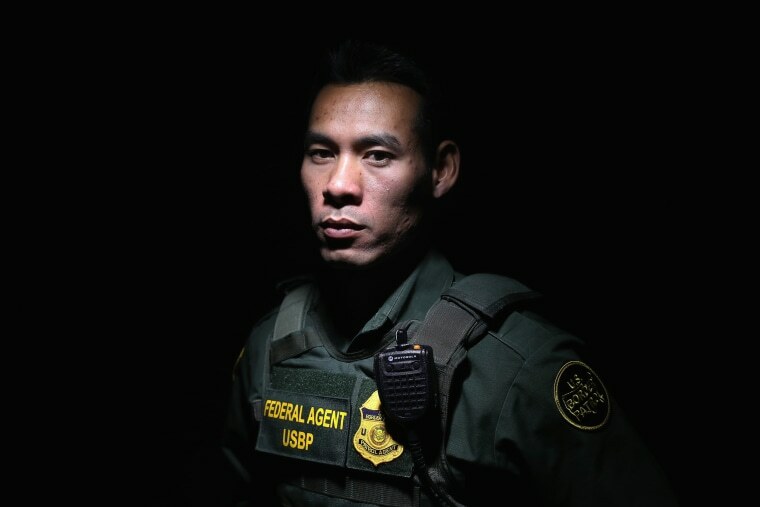 Agent Tran, 32, an immigrant from Vietnam, said that before joining the Border Patrol, he served in the U.S. Army for 4 1/2 years, followed by 3 years in the U.S. Army National Guard. Trainees wait to be fitted for uniforms. 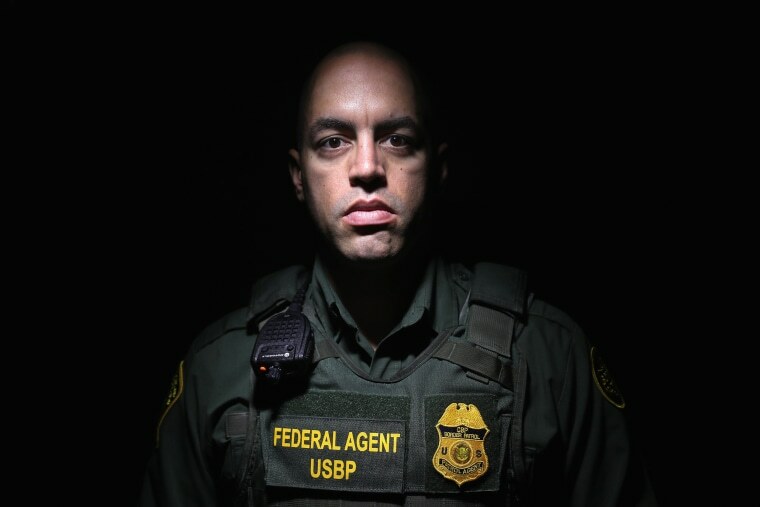 Agent Wynn, 36, said that before joining the Border Patrol, he was a military policeman in the U.S. Army National Guard. A prospective agent checks a vehicle during a training scenario. 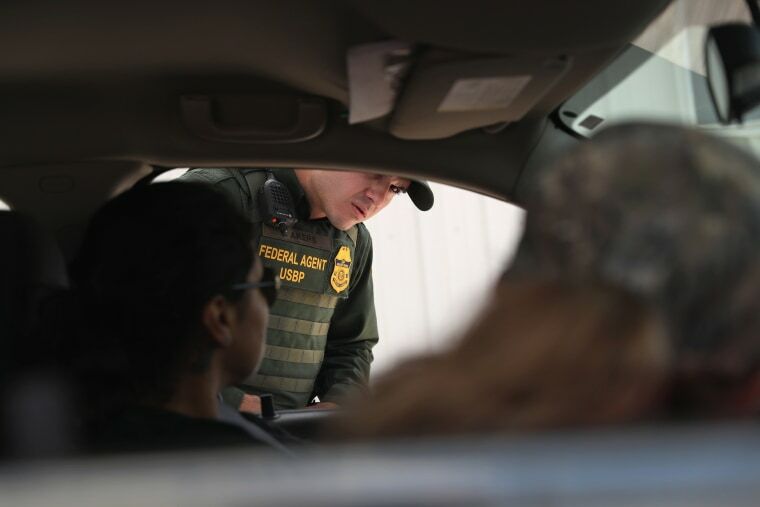 The primary mission of the Border Patrol is to detect and prevent the illegal entry of aliens into the U.S., but they are also on the front line of the U.S. war on drugs, acting as the primary drug-interdicting organization along the Southwest border. 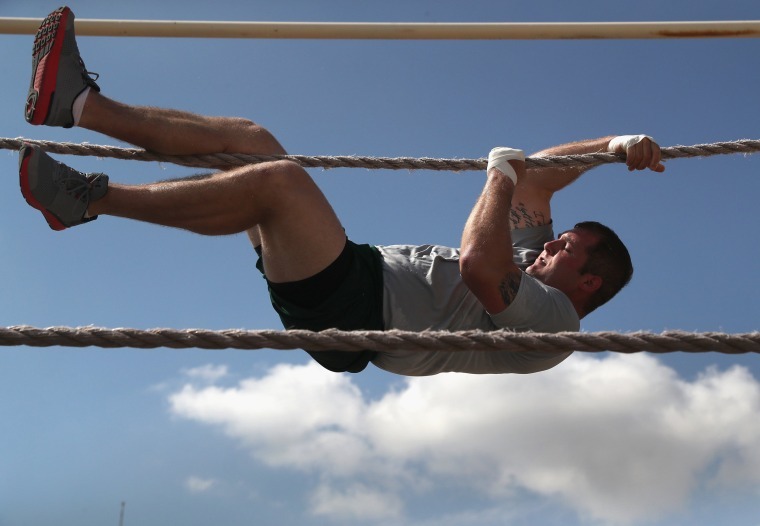 A trainee completes an obstacle course. 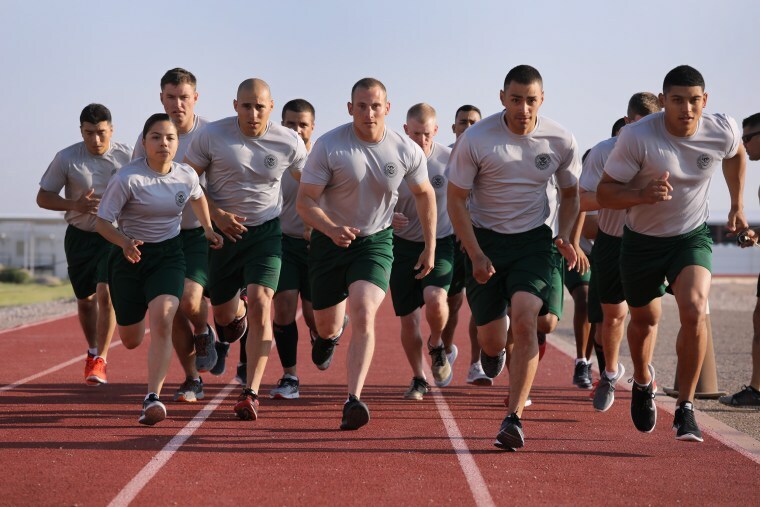 An instructor yells at a trainee as he arrives at the academy. 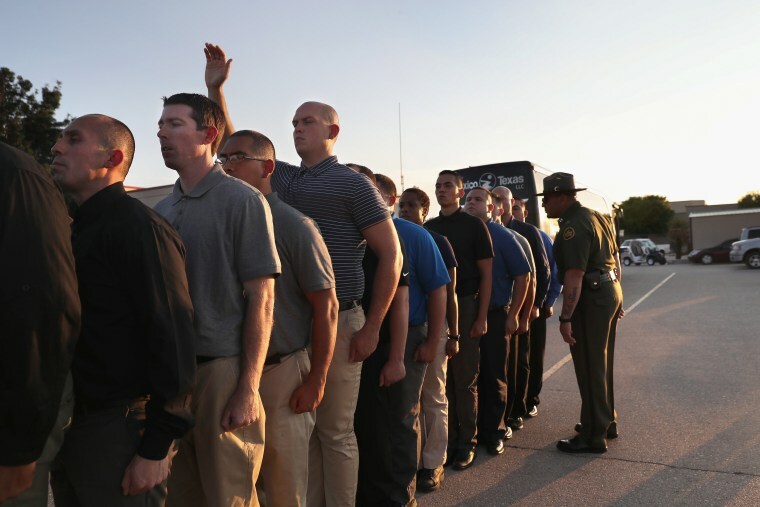 An instructor stares down a line of trainees upon their arrival at the academy.